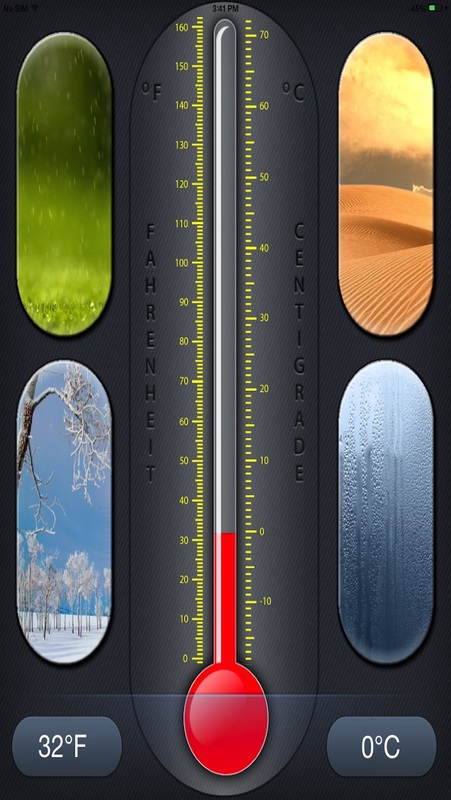 Temperature is a measurement of the relative heat energy in an object or system. This reflects the average kinetic energy of its molecules. Temperature is the warmth or coldness of an object or substance with reference to some standard value. Many devices have been invented to accurately measure temperature. It all started with the establishment of a temperature scale. This scale transformed the measurement of temperature into meaningful numbers. This applications allows quick and easy temperature conversions from Fahrenheit ( oF ) to Celsius (oC) or vice versa. The output of the conversion measure values is displayed on an interactive level indicator along with scales.